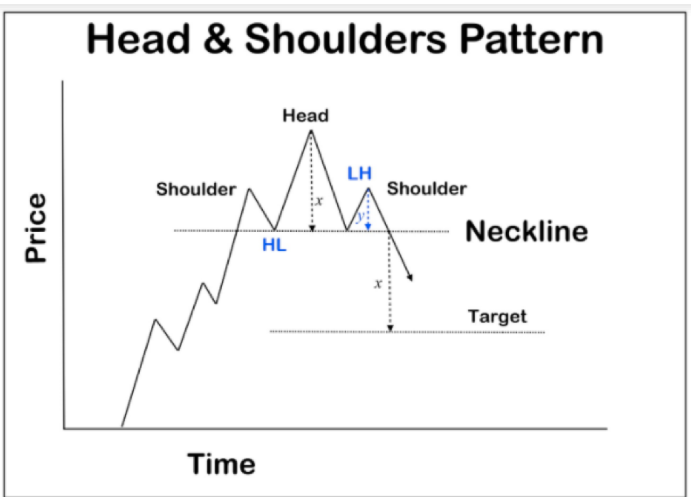 Traders use charts to learn different patterns that often appear in the market, and one pattern that often arises is the head and shoulder pattern. When fully formed, this pattern can indicate the end of the downtrend and the beginning of the uptrend. The formed graph makes traders assume there is an inverse head and shoulder pattern. This pattern can appear in various market situations in all timeframes. If you can use this pattern wisely, traders have a great opportunity to profit from the head and shoulder patterns. The main key to making a profit with a head and shoulder pattern is to see the changes in the graph. Price movements are clearly not the same from time to time so it needs a strategy that is right for a situation like this. Head and shoulder patterns can be an alternative way to win trading. In general, the head and shoulder pattern will function like an inverse pattern that indicates the end of a downtrend. When the price continues to move down, the price will touch the bottom point and then pulled back up. The price then goes down to the lowest then is pulled back. When the price drops again, the price will not touch the bottom base so that it creates a rising situation again. This movement produces three parts commonly called the left shoulder, head, and right shoulder. Traders will find two upward movements and recalls as long as this pattern occurs, one occurs after the left shoulder and one after the head. The highest point of withdrawal is connected to the trend line which will extend to the right. This trend line is generally called the neckline, although many also call it sideways. The problem is, some traders sometimes get stuck with other similar patterns. Traders sometimes consider double top and triple top reversal patterns as head and shoulder patterns, even though these three patterns have their own specific characteristics. Errors in identifying patterns can have an adverse effect on traders, especially when making trading strategies through several indicators. Pseudo chart patterns can actually be used as technical indicators, except that sometimes the strategies used are not appropriate. As an illustration, both the double top, the triple top reversal, the triangle, and the head and shoulder patterns, all can be said as reverse patterns. Therefore, it is important for every trader to know the characteristics of each pattern that appears in order to make the right strategy. Because the head and shoulder pattern is the bottom part of a reverse chart, the trader must immediately focus on buying or taking a long-trade. This pattern will be perfect when the price of an asset rises above the neckline pattern. Some traders see this as a breakout and refinement of the head and shoulder pattern. Generally, traders will open a head and shoulder trading pattern by taking a long position when the price moves above the neckline. To maintain security, the trader must give a stop-loss order just below the bottom point of the right shoulder. The neckline pattern acts like an entry point if two lines in the pattern touch the same level. If the right shoulder is higher than the first, the trend line will form an ascending angle, and therefore will not be a good entry point because it is too high. In this condition, give a buy or long-trade order if the price rises above the second line (above the head and right shoulder). Use the entry point if the second high line appears but is lower than the first line. In other words, the neckline trend line is slowly coming down. Also, use the entry point if the neckline shows a sharp angle, even if down or up. Chart patterns indicate price targets or estimated areas based on the size of the pattern that appears. The price target acts like a guide, and there is no guarantee that the price will touch the target or approach the target. Focus on trading patterns that give a profit and risk ratio greater than 2: 1 by utilizing stop-loss. A pattern that has a lower right shoulder will touch the lower head resulting in a better profit and risk ratio for traders. Basically, a head and shoulder pattern will occur when there is a trend down and lasts long. The chart pattern shows three low lines, interspersed with two draw lines. A perfectly arranged pattern will provide good information about the entry point for trading until the price moves up above the neckline or the second withdrawal line. Traders must use a stop-loss order just below the right shoulder and make a target based on the height of the pattern that appears plus the price breakout. Ideally, this kind of trading will give more than 2: 1 possibilities for profit and risk. If not, the fixed chart pattern will provide useful information, which shows the transition between downtrends to uptrends. 0 Response to "Trading Profit With Head and Shoulder Pattern"